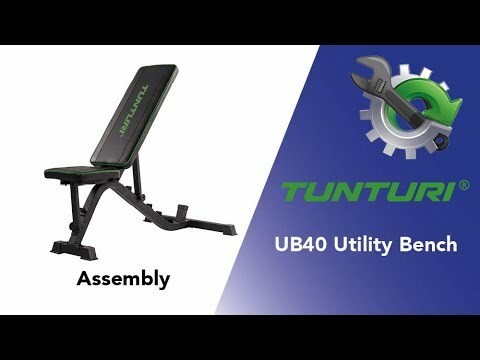 The Tunturi UB40 Utility Bench is the solution when a weight bench is needed under the barbell supports. With the UB40 weight bench it is possible to train abdominal muscles, but can also be used as a weight bench. With an adjustable backrest and seat, any desired exercises can be performed with the weight bench. The backrest can be placed in 6 different positions and the seat has a setting possibility of 2 positions. Thanks to an easy adjustment system, it is quickly possible to switch quickly between different positions. With a steel frame and a matte black powder coating finish, the weight bench is very sturdy. To protect the floor, the Tunturi UB40 has rubber floor protectors. - The maximum weight for the weight bench is 200 kg.